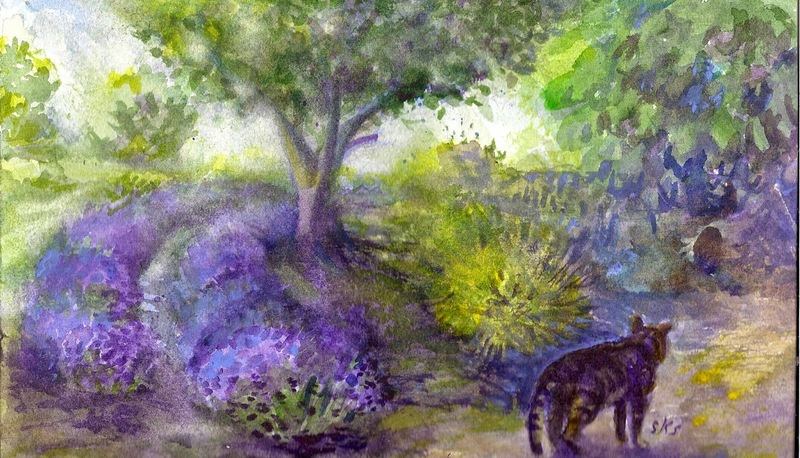 The first of today’s paintings was another done in the style of Jeanne Carbonetti’s ‘Tao of Watercolor’. 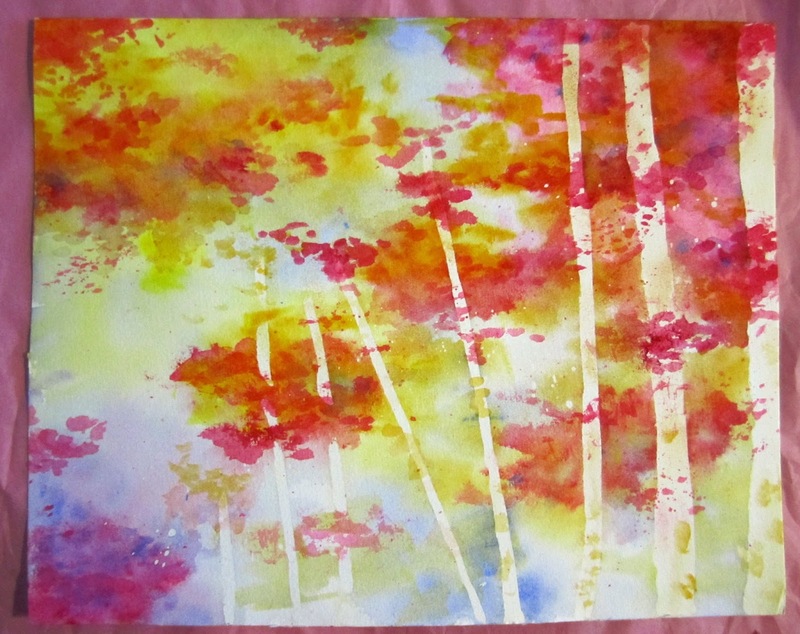 I used masking fluid to block out the shape of the birch trees, wet the paper thoroughly, and then dropped, splattered and tilted paint around the sheet. Once dry I peeled the fluid away, then splattered and dotted more of the paint to emulate leaves. The second painting was a Plein Air piece that I did on a visit to a local lavender farm. Although, I used plenty of water, it is almost on the opposite scale to the first piece, being much more controlled and worked on. In fact, I overworked it, trying to adjust my values to get more of a mid-ground. Despite flaws in my technique, the painting is pleasant enough, and a testament to the scrubbing and lifting that this paper can stand.